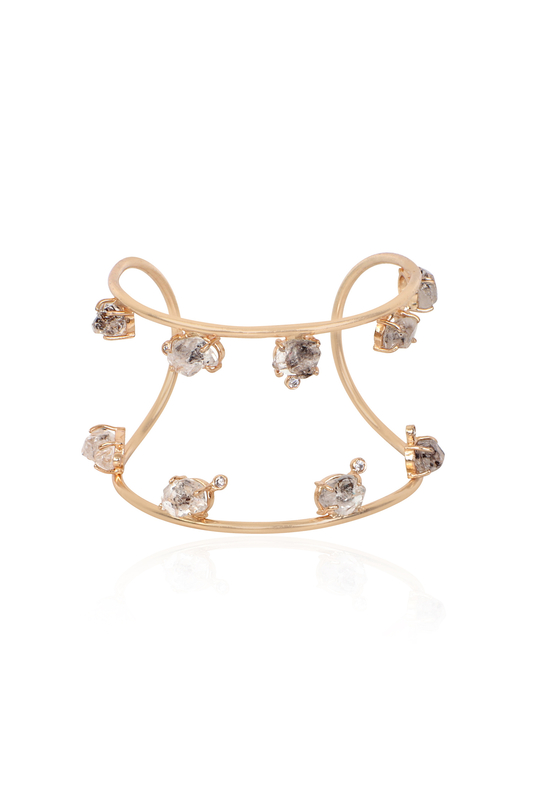 Semi-precious stone open cuffdesigned by Atelier Mon at AASHNI+CO. Atelier Mon designs statement piece of cuff bracelet in an adjustable style with semi-precious stones. Wear the piece with your feminine dress.